1. 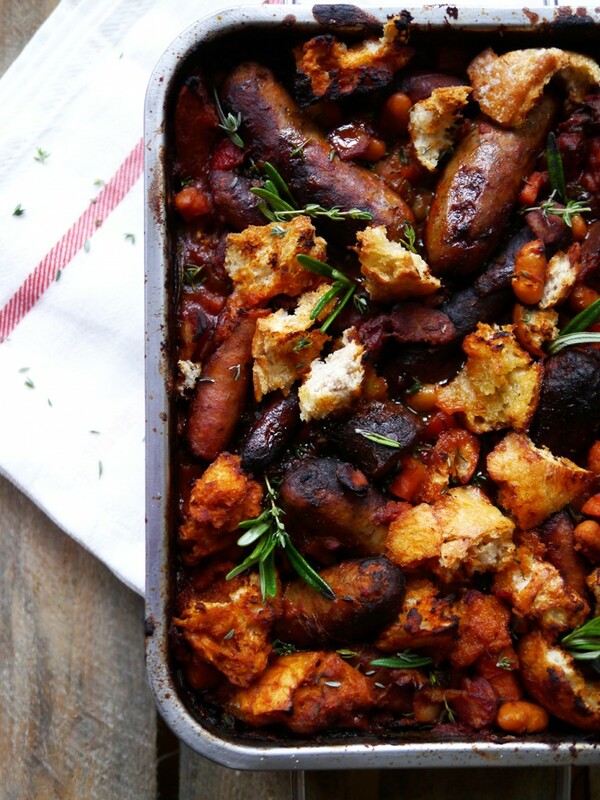 Fry the sausages in a pan until browned on all sides. Remove and place in a roasting tray. Cut the bacon into lardons and fry in the same pan, until golden and slightly crispy. Remove and add to the roasting tray. 2. Peel and chop the onion, carrots and celery. Peel and crush the garlic. Fry in the frying pan on a medium heat, along with the juices from the sausages and bacon, until soft. Add to the roasting tray. 3. Add the herbs to the roasting tray, keeping the rosemary on its sprig, along with the salt and pepper. Pour in the cannellini beans, tomatoes, chicken stock and port. Stir and pop in the oven for about an hour, stirring occasionally throughout this time. 4. Tear the stale ciabatta into chunks and toss in olive oil. 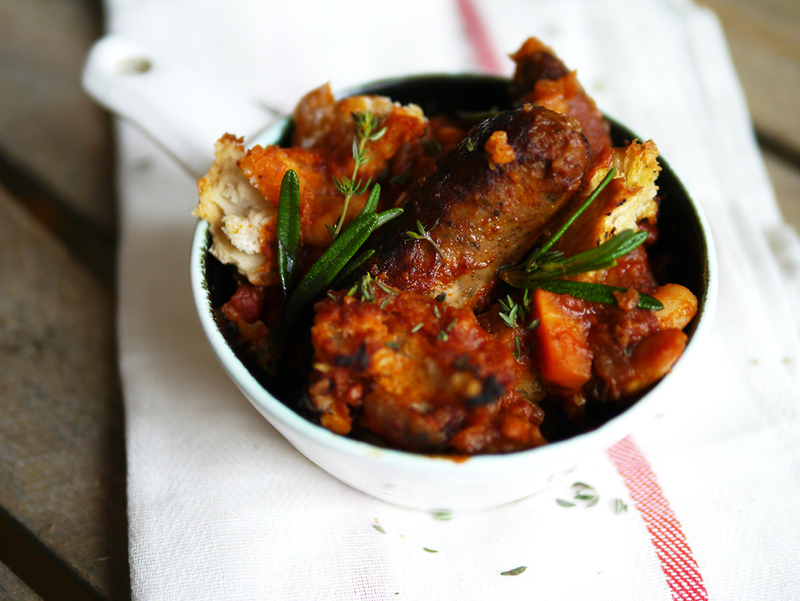 Remove the cassoulet from the oven after the hour has passed, and top with the chunks of ciabatta. Give a light stir, and make sure the bread soaks up some of the lovely juices. Return to the oven for 15 minutes.